Nintendo Switch Online will be adding three new 8-bit classics to its NES lineup next week – Mighty Bomb Jack, TwinBee, and yes, the legendary original Metroid. Nintendo Switch Online comes with a collection of NES titles with added online play and other features, and, sometimes, minor gameplay tweaks (Nintendo has released a special easier version of The Legend of Zelda). 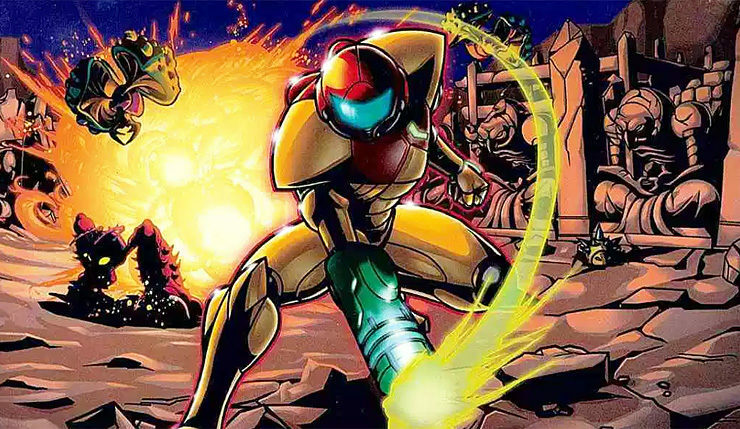 For those not up on their 8-bit history, Metroid is, of course, the groundbreaking non-linear action-platformer that introduced one of gaming’s first female heroes, Samus Aran. Mighty Bomb Jack is an early NES platformer, and a somewhat odd choice to include in the Switch Online lineup, as it isn’t that fondly remembered, but it’s worth a try. TwinBee is a vertically-scrolling shooter, with some rather quirky mechanics, but it’s some good light fun. Metroid, Mighty Bomb Jack, and TwinBee join 23 other Switch Online NES games, including Balloon Fight, Baseball, Donkey Kong, Double Dragon, Dr. Mario, Excitebike, Ghosts ‘n Goblins, Gradius, Ice Climber, Ice Hockey, Mario Bros., NES Open Tournament Golf, Pro Wrestling, River City Ransom, Soccer, Solomon’s Key, Super Dodge Ball, Super Mario Bros., Super Mario Bros. 3, Tecmo Bowl, Tennis, The Legend of Zelda, and Yoshi. Ninja Gaiden, Adventures of Lolo, and Wario’s Woods are scheduled to arrive in December. Nintendo Switch Online will set you back $4 a month, and a mere $20 for a full year. A Family Membership, which lets you share your account with up to 7 other people, will cost you $35 a year. In addition to its collection of NES games, the service also includes cloud saves, special offers, and, of course, online play for compatible games. Metroid, Mighty Bomb Jack, and TwinBee join the Switch Online NES lineup on November 14. What other classic NES titles would you like to see added in the future?